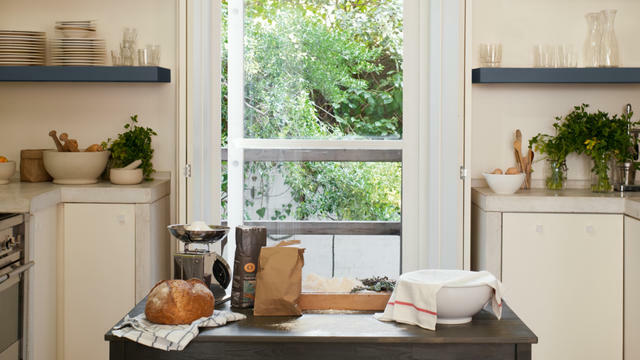 Seven easy ways to transform your new kitchen to create a look you’ll love. According to our recent global survey, more than a third of families who are moving agree that getting the kitchen done is key to making a new house feel like home. 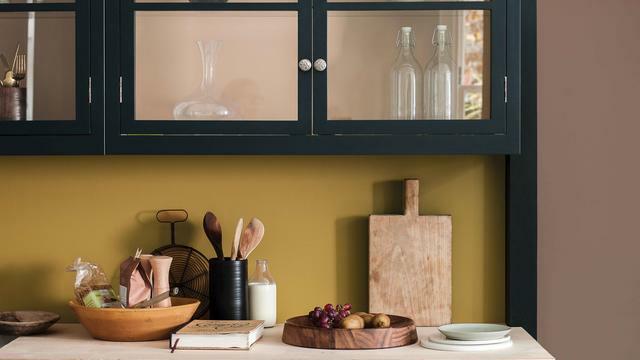 But if your post-move budget won’t stretch to the kitchen of your dreams, our Dulux colour expert, Louise Tod, has devised some affordable fixes for a designer-style decor you don’t have to wait for. 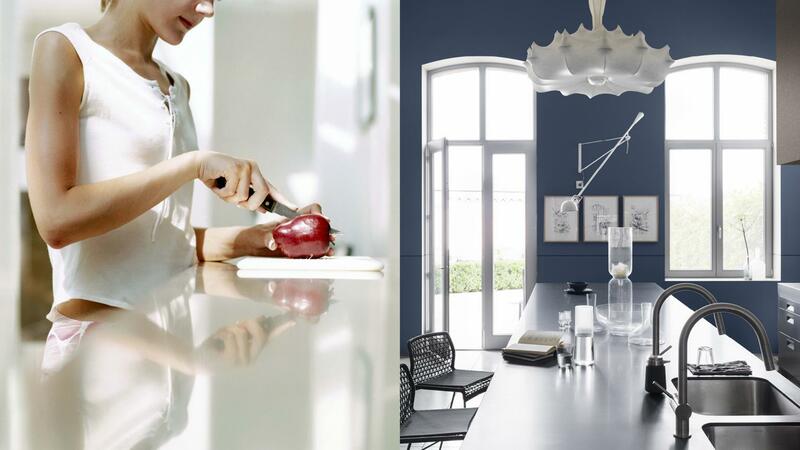 Whether you’re having it done or doing it yourself, Dulux paint is an inexpensive way to stamp your personality on your new kitchen, with immediate results. Transform a bland white space into a cosy family hub with taupes to help unify the decor, or liven it up with energising brights. A coat of Dulux paint will instantly revive old kitchen cabinets. Warm neutrals are a calming, versatile choice, while silvery greys will add a contemporary feel to your decor. 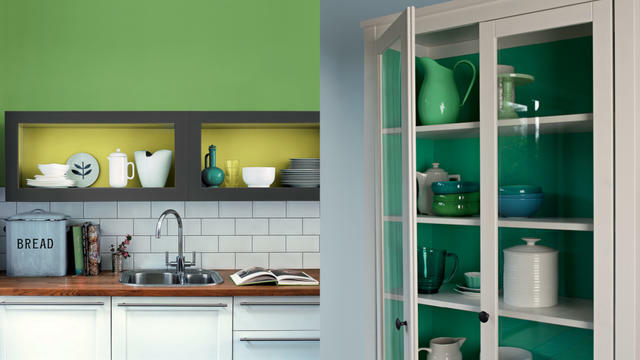 A bright pop of Dulux paint colour inside cupboards is guaranteed to put a smile on your face whenever you reach inside. Or better still, remove overhead cupboard doors to create open, colourful shelving for a cheerful feel. 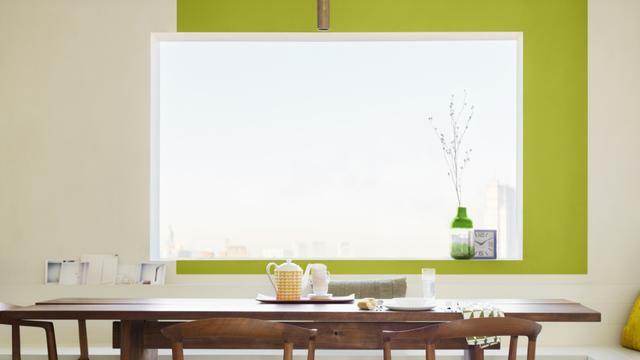 If you’re nervous about choosing a bold colour for your walls, play with the woodwork instead. Invigorating deep blue hues will add a sophisticated feel to your home decor, and create the illusion of space if the walls are painted in a lighter shade. Changing old drawer and cupboard handles is one of the quickest and easiest ways to give your new kitchen a designer-style boost on a budget. For a timeless look, consider classic hardware such as brass or brushed nickel handles. They’re a great way to add a touch of class and will complement just about any colour scheme. 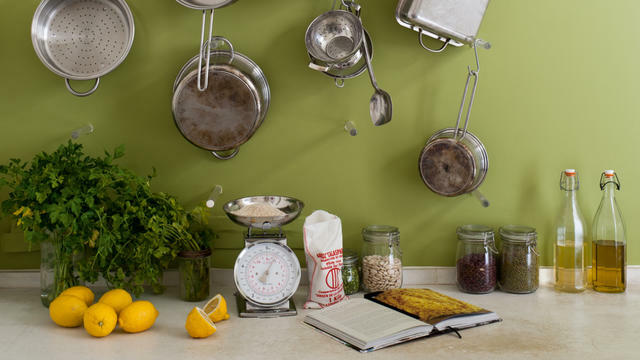 Complete your kitchen transformation with some fun accessories. 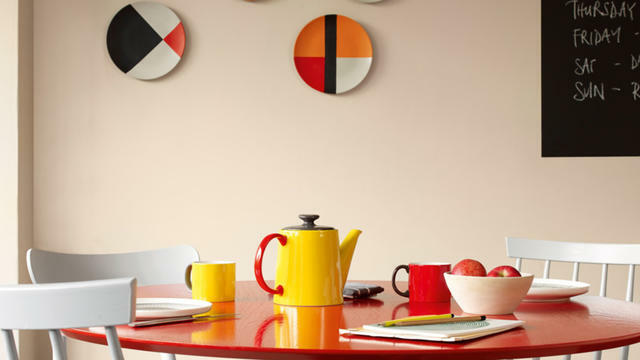 Brightly coloured toasters and kettles are easy to find, while displaying colourful crockery will add interest and depth to your home decor.